When you’re in the right place, you know it. We’re that place. Our members tell us so. It’s because we stand for things like compassion, acceptance and community. The things that people need today. You’ll find it here. It’s positively different. All are welcome to join us for Sunday worship at 10am. Our service is not just Christian theology. It’s a time to step outside of daily life and feed your soul. Our members describe it as “restorative,” “a soothing respite,” and an “hour for reflection.” Come see what it’s all about. Founded in 1875, FCCW is perhaps the oldest church in the village of Wilmette. 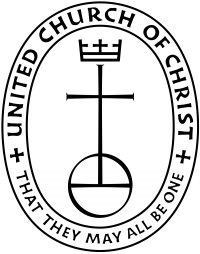 We’re actually part of the United Church of Christ – which is a denomination that was formed in 1957 as a merger of historic Protestant denominations: the Congregational Christian churches and the Evangelical and Reformed churches. We’re independently guided by our congregation. It’s a church for all people, run by people. We are accepting of all religious backgrounds, even those who have doubts or don’t believe. FCCW is known in the community for our civic engagement. We helped found Stock the Shelves, a program that enables refugee families to start a new life. We’ve supported and welcomed the LGBTQ community for more than three decades. We helped found the Raven Foundation, focused on peacemaking and nonviolence. We have fun: golfing, fantasy football leagues, book group and more!